The Alpine Lodge is now OPEN for group bookings for the 2019 snow season. Smaller bookings open on 1 May 2019. Group bookings for more than 20 people are eligible for a 10% discount. Please click here to download the Group Booking Form. For these bookings or any other enquiries please contact Jen Eslick via Email or phone 03 8344 8575. 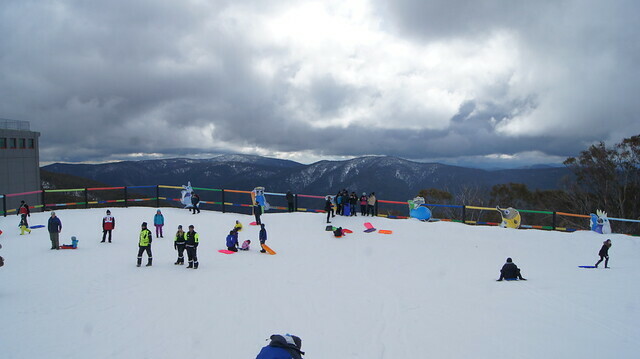 For lovers of snow sports and fresh mountain air, the Melbourne University Alpine Lodge at Mt Buller is a 40-bed, share facility available for hire during the ski season. Within walking distance to Mt. Buller Village and located only metres from the Blue Bullet quad chair and Chamois lift, the Lodge provides the perfect place to stay. 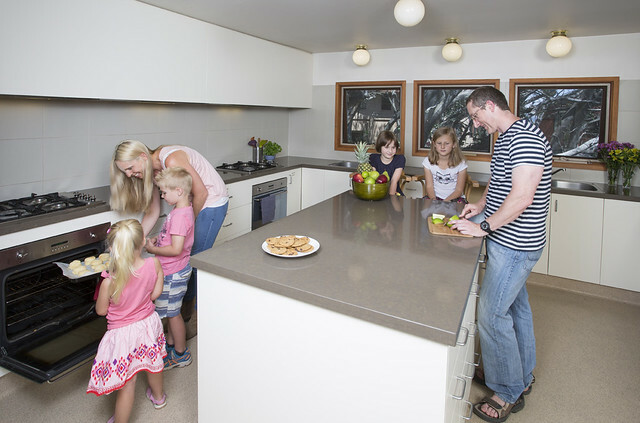 The lodge provides clean, modern share-style accommodation with family rooms available. Each room has two bunkbeds with an upper and lower bed (total four (4) beds). Guests must take their own linen (sleeping bags/doona/blankets, sheets, pillowslip & towel), food, beverages, toiletries & hair dryers. Pillows are supplied. A limited supply of linen is available for hire including: pillow slip ($1), sheets ($4), blanket ($4), towel ($4), or a full set for $10 per person, per booking. It is a good idea to bring a padlock or 2 to lock any valuables in the cupboards in the rooms or your skis in the ski/snowboard room. These can also be purchased from the managers for $10 each. Please download the Conditions of Use for your reference.